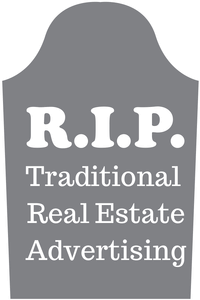 Are Newspaper Ads in Real Estate Dead? Are Newspaper Ads For Real Estate Dead? In the “olden times” before social media, the credibility of a real estate brokerage was determined by the size of their Sunday newspaper ads. Did they have enough listings to fill the page? If so, their phones would be ringing off the hook Monday morning, and their office would receive the most walk-in traffic that week. The Internet has now turned our marketing business models completely around and flipped the script. We turn to Facebook, Instagram, and Pinterest because that’s where the eyeballs are… and also because of the allure of “free” advertising. 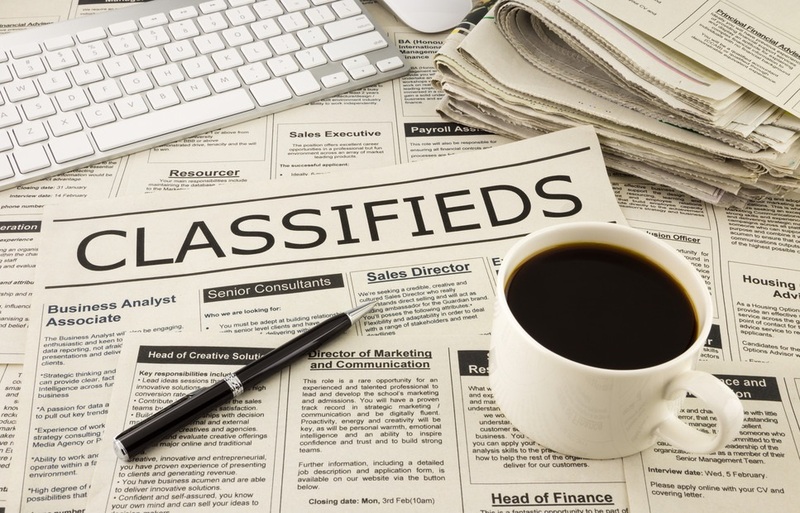 Has the internet killed newspaper ads for real estate? Surprisingly, many real estate brokerages still advertise in newspapers. How do they use this old-school source to promote their listings, market their brand and snap up prospective buyers? Here are some tips to help you make the most of print advertising. Match the Needs of Your Client. If your seller client is in the “Traditionalist” generation, she probably reads the newspaper. Therefore, she would expect to see her listing advertised with a photo in the display ads (not the classifieds). Local is as Local Does. You may find that the more local a newspaper or magazine, the more relevant it is to your audience. Many neighborhoods and communities have their own newspaper with a limited circulation and they will often sell newspaper ad space to help offset the cost of publication. It often produces better results than a city-wide newspaper because it’s targeted to a specific niche. If it has a theme, you can play to that topic in your newspaper ads. For example, in the San Diego area, each zip code has a regional news magazine with down-to-earth stories about local families. School achievements are highlighted, and individuals are spotlighted. It attracts avid community readers who support their local businesses. And don’t forget about your church bulletin or HOA newsletter (if ads are allowed). Consider Full-Color Magazines. These are often picked up by visitors and out-of-town guests who are considering moving to the area. These types of newspaper ads are more expensive, but their magazine is sitting in racks for an entire month. That’s more exposure for you! Press Releases. These get you the most bang for your buck. That’s because they are FREE! Often newspapers will ask that you run paid newspaper ads along with your press release, but it’s not mandatory. Write a new press release each month that focuses on a newsworthy activity at your firm. For shameless, free advertising disguised as news, think of something you can offer that benefits the general public. For example, holding a Home Buyer Workshop or a seminar on “The Benefits of 1031 Tax-Deferred Exchanges” are newsworthy activities that can promote your company discretely. Offer to Write an Article. Want to experience the benefits of newspaper ads without shelling out the dough? Offer to write a weekly column on real estate trends or popular subjects for the newspaper. While you won’t be able to put photos of your newest listings in, these will go a long way in building your local brand and establishing yourself as the local expert. Subtle calls to action such as signing up for an email version of your article or checking out your website for a more in depth explanation can often be more successful than a few pictures of a home for sale. Newspapers are Online Anyway. Most news companies realize the impact of paperless media and have added digital news sources to their product mix. In addition, the printed newspapers are also mirrored on their website, which should be picked up by the search engines. Just another way to get found at the top of Google. Just be careful, because sometimes the newspaper ads don’t get put into the online version as they will often sell online ads separately. Make sure to ask about this if this is the route you are wanting to take. Your Competitors Won’t Be There. If you like to be the best and brightest, consider that you won’t have much competition from other real estate brokerages. Many of them have switched from newspaper ads to other marketing methods, so newspaper readers will see you as the #1 – and possibly the ONLY – choice. So before you discard the notion of newspaper ads, consider the many ways you can benefit from printed promotions. In real estate, there’s no such thing as too much marketing!